Home Expert Advice Makeup Tips Eyes Do You Really Need a Moisturizer? Every now and then articles or interviews with skin care experts raise eyebrows by making the controversial statement that not everyone needs to use a moisturizer. Some dermatologists take it further, proclaiming that no one needs to use moisturizer! So, does everyone need a moisturizer? The surprising answer is no, not everyone needs to use a moisturizer, at least not in the traditional sense of the word. No matter your skin type or concern, what matters most isn’t the label “face cream” or “moisturizer” on the package; it’s that the leave-on products you use contain the ingredients that help everyone’s skin become and stay healthy. You can get those ingredients from the top moisturizers and other types of products. Who Should Use a Moisturizer? The most obvious reason to moisturize is if you have dry skin. Whether it’s dry due to genetics, certain skin conditions, medications, the season, or where you live, one thing is certain: applying a good moisturizer to dry skin immediately makes it look and feel better. We tend to think of moisturizers as being lotions or creams—two textures that usually aren’t ideal if you have combination, oily, or acne-prone skin. We’ve discussed how frustrating it is to find the best moisturizer for acne, but finding a good moisturizer for oily skin can also be a challenge when putting together a skin care routine. A good moisturizer should make skin feel smoother, softer, and protected against moisture loss. But the best hydrating moisturizer should also contain the key groups of ingredients we share below. 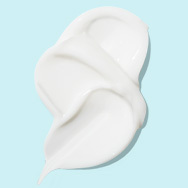 But first, what happens to your skin if you follow the advice to skip moisturizing? What Happens to Skin if You Don’t Moisturize? If you have dry or dehydrated skin, not moisturizing will only make these concerns worse. To some extent, how much worse depends on the other products you’re using. If anything in your skin care routine contains problematic ingredients and if you aren’t using anything else that’s hydrating, you won’t see much, if any, improvement. If you have combination skin, skipping classic cream or lotion moisturizers should improve your oily areas but if the rest of your face is dry, those areas will begin to look worse unless you moisturize. The best skin care for oily skin can include a moisturizer— even an oil-free face moisturizer— as long as its texture and formula are suitable for oily skin. Where it gets confusing is that you don’t always need to use a product labeled “moisturizer” to get the benefits of hydration, replenishment, and visible repair of everything from fine lines to dullness, flaky skin, and redness. Other skin care products can step in to help. A well-formulated toner and/or face serum can provide a perfect amount of hydration for oily skin. Boosters, brighteners, and sunscreens can do the same thing. In fact, layering such products morning and evening can be a brilliant option for normal to slightly dry skin. In this instance, not using a product specifically labeled “moisturizer” would be perfectly fine because you’re giving your skin enough of the ingredients it needs to thrive. Antioxidants from vitamins, plants, and other sources such as hyaluronic acid. All of these ingredients help defend skin against environmental aggressors and soothe stressed skin. Note that there isn’t a single best antioxidant, just hundreds of great ones, both natural and synthetic. Replenishing ingredients like glycerin, ceramides, sodium PCA, and cholesterol, are all present in young, healthy-looking skin, but we lose them with age, sun damage, and bad habits like using overly fragrant products. Restoring ingredients like peptides, niacinamide, and retinol, all of which help teach skin to behave as closely as possible to the way it did before it became damaged. From there, it’s a matter of choosing a moisturizer texture based on your skin type: creams or balms for dry skin; lotions for normal or slightly dry skin; lotions or gels for combination skin; fluids or gels for oily skin. Last, you can layer thinner, lightweight products to achieve your skin's comfortable—and customized—level of moisture.